How to draw Manga Shiemi Blue Exorcist. How to draw Manga, Shiemi Moriyama from Blue Exorcist. In this tutorial, you will learn how to draw a girl face in Anime Style. This video shows you how to draw a character from Blue Exorcist, Shiemi. This should be easy for every artist to follow. If it is a bit too fast for you, press pause. Then you can keep drawing along. You will find video tutorial on the top. You can scroll down further to see step by step images with instruction. 杜山 しえみ, 青の祓魔師 Shiemi is Rin’s classmate and friend. Before she met Rin, Shiemi tended her grandmother’s garden while her mother ran an Exorcist only shop inside True Cross Academy. During her encounter with Rin and Yukio, they were able to discover that Shiemi was having her life force leached out by a Demon. After Yukio exorcised the demon, Shiemi finally decided to become an Exorcist and started to attend class. It was later revealed that Shiemi had talent in becoming a Tamer, as she was able to summon a Greenman Spirit during class. It is apparently a rare talent to possess amongst the Exorcists, where there are only a few who can control demons and fight. Learn how to draw Manga, Anime, and comics. Drawing and sketching anime technique for Anime and Manga. Learn to draw with tips from a professional concept artist and illustrator Xia Taptara. 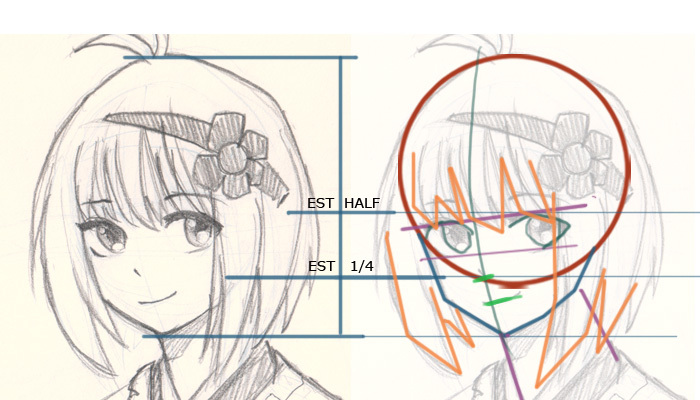 Here is an image showing how to draw Shiemi from simple geometry shape easy to foloow step by step drawing.